Stewarded by the Center for Contemporary Art & Culture, the collection of Museum of Contemporary Craft comprises 1,300+ objects of modern and contemporary craft from 1937 to the present. 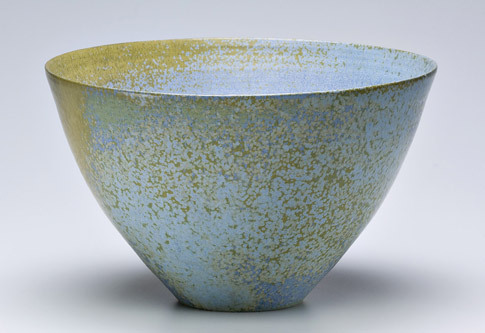 Largely made up of mid-century ceramics, the collection also includes works in clay, fiber, glass, metal and wood from the Pacific Northwest and beyond. In 2008, the Museum published Unpacking the Collection: Selections from the Museum of Contemporary Craft, a book documenting the Museum’s collection and its connections to the American Craft Movement and changes in artistic practice over the past 70 years. In 2016, the Museum’s collection of contemporary craft was transferred to the care of Pacific Northwest College of Art who, with the support of The Ford Family Foundation and The Oregon Cultural Trust, produced the first searchable digital archive of all 1,300+ works. You can view each object in the collection on mimi.pnca.edu/craftcollection. Researchers, writers and graduate students interested in learning more about the collection or archive may contact the staff of the Center for Contemporary Art & Culture at Pacific Northwest College of Art (PNCA).